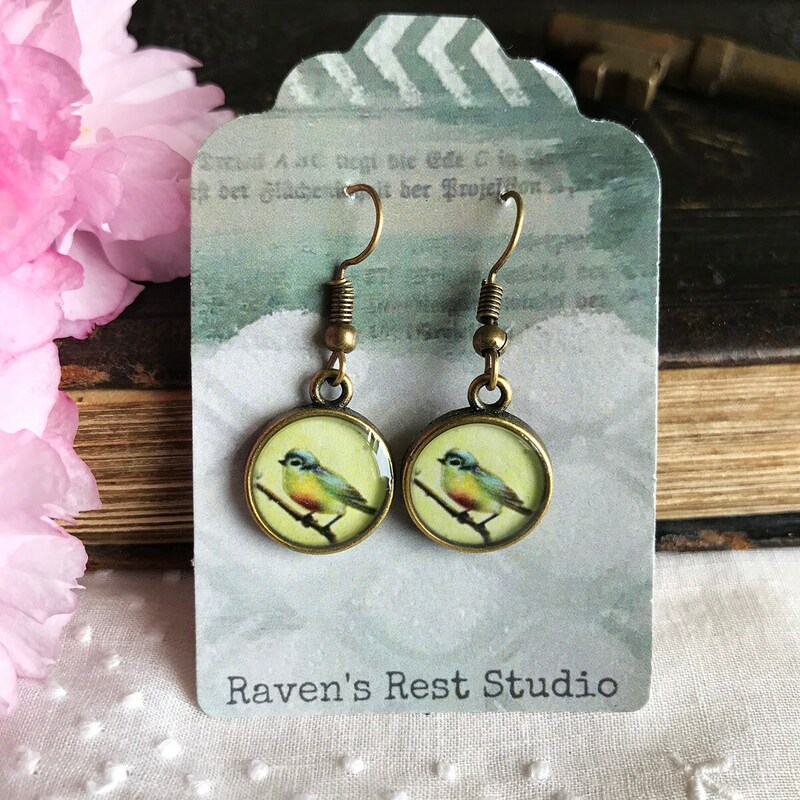 These pretty little earrings are lightweight and made for everyday wearing. Resin is also waterproof so you can wear these earrings with confidence in any weather! This set features a pair of fun colourful birds. The cabochon settings measure 14 mm in diameter and are nickel and lead free. 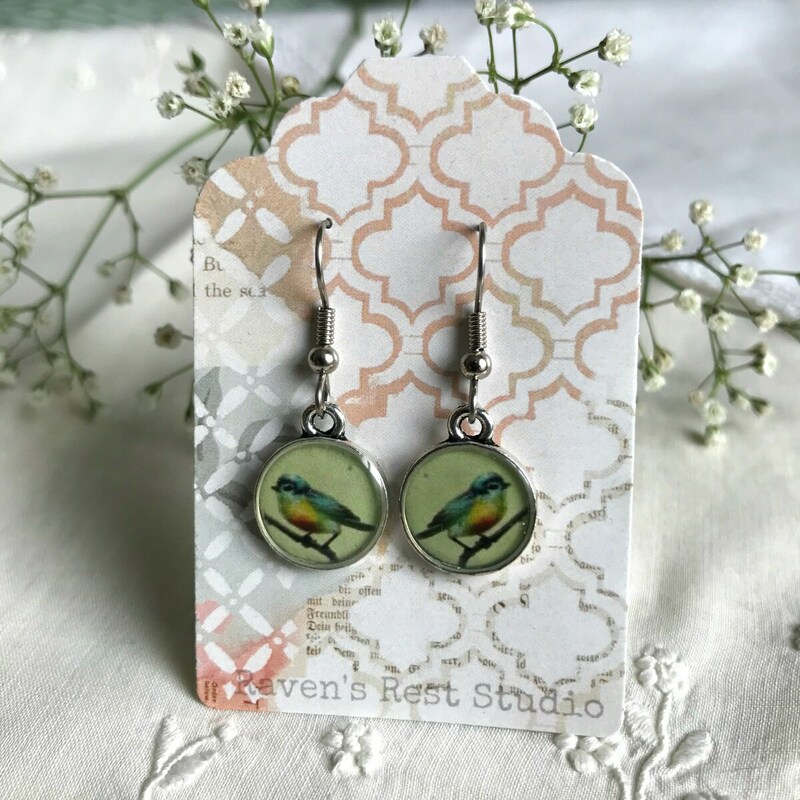 Each of my earrings are individually handmade by pouring a high quality jewellers grade resin into the setting, which creates a beautiful shine and dome effect that accentuates the images beneath.